« Stop the next war before it starts! Published by jalbertini on September 28th, 2018 in Hawaii Independence, Public Events, Sacred Mauna Kea, Social Justice, Take Action!. On behalf of our organization, I oppose your proposed rules. I oppose the industrial and commercial desecration of the most sacred temple in Hawaii, Mauna a Wa Kea and the trampling of the cultural , traditional, and religious rights of Kanaka Maoli. The Office of Mauna kea Management (OMKM) should be abolished. It and the university of Hawaii have no jurisdictional authority over the Mauna. Mauna Kea is crown and government lands of the Hawaiian Kingdom, under illegal occupation by the United States. The Hawaiian Kingdom and Hawaiian cultural and religious practitioners of the Hawaiian Kingdom should decide on rules for protecting the sacred temple of Mauna Kea. The University of Hawaii and OMKM along with the proposed rules are engaging in ongoing desecration of the sacred Mauna and regulating Kanaka Maoli rights into extinction. 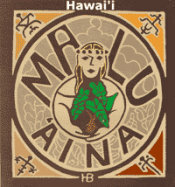 Your primary value for the Sacred Mauna is DOLLARS, and how you can exploit and further commodify the Mauna. I attended the Hilo Hearing. It was an insult and a disgrace that only 1 Board of Regent member attended the hearing. UH president, David Lassner, all the UH Regents and OMKM Board members should have been present to show respect for the Mauna, the community, and especially Hawaiian practitioners, many who poured their hearts out. Shame on the University and OMKM. Your absence speaks volumes about who you are and what you really value.